Hep Cahill will captain Widnes in the Championship next season after signing a new one-year deal. The 31-year-old has played 142 games for the Vikings since joining from Crusaders in 2018. Cahill will play a role in representing the Vikings on and off the field. 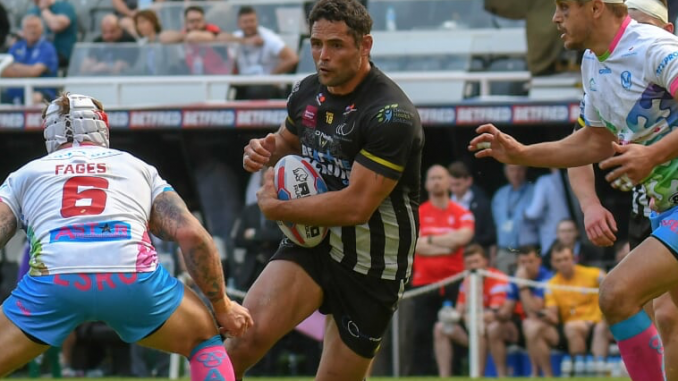 He will help drive standards amongst all levels of the playing group, act as a conduit between players and staff, and represent Widnes to key partners and community groups. On being appointed club captain, Cahill said: “I have loved my time at this club and it is absolutely devastating to experience relegation. “I know what restoring the Vikings back to the Super League will mean to local people, and I will never have a prouder experience in my career than making that happen. “Widnes is home to me and my family – we’ve been welcomed with open arms by the town and love the place. I’m determined to give my all to this team and this town, in our bid to earn promotion. I welcome this opportunity to take on a formal leadership role and help set standards at the club; I promise you that I’ll do my best and always strive to lead by example. Vikings’ chief executive James Rule thinks Cahill is a perfect fit for the role. He said: “As we look to make an immediate return to the Super League, it is important that we bring to the fore the individuals who can lead by example and demonstrate the desire to fight for this club. “Hep is someone whose character, dedication and values are of incredible importance to Widnes Vikings. As someone who has made personal sacrifices previously for the greater good of this club, supported countless local causes without any wish for recognition, and never shied away from challenge on the field, Hep is exactly the type of person whose status should be elevated.